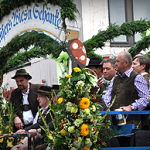 Munich is lively all year long — fairs and holidays seem to follow one on top of the other. But this is no “oompah” town. It’s an elegant, tasteful city with sophisticated clubs and restaurants, wonderful theaters, and fine concert halls. 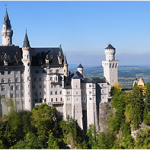 One of Europe’s most visited cities, Munich is full of monuments and fabulous museums. A place with memories of yesterday, both good and bad, it is very much a city living in its present. Today, with some 1.3 million inhabitants, 16% of whom are foreigners, Munich is the third-largest city in Germany. It is also the Germans’ first choice as a place to live, according to various polls. It is a major economic center for north-south European trade and for high-tech microelectronics and other industries. It also has a huge publishing center and a burgeoning number of film studios. A city of art and culture, and Germany’s largest university town, Munich is a place to have fun and enjoy the relaxed lifestyle, the friendly ambience, and the wealth of activities, nightlife, sights, and events. 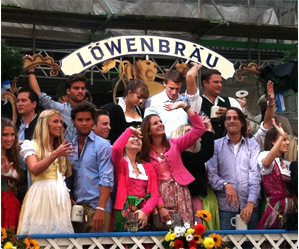 The traditional stereotypes still exist in Munich. Men on occasion wear lederhosen, at least at Oktoberfest, when the ladies put on their dirndls. 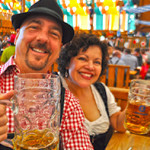 They still drink as much beer as ever in the beer halls and gardens, and the oompah bands are heard throughout the night. Munich is also the country’s headquarters for high-tech industry. It competes with Berlin, and some local industry leaders are concerned that Berlin as the capital of a reunified Germany could also shift trade and power to the north and east of Germany. That’s not likely to happen soon, if ever. Munich is rather firmly entrenched in the industrial market and is a base for such worldwide industries as the electronics company Siemens and the car manufacturer BMW. Munich is actually more prosperous than Berlin. As the home of three universities, the city has both a vibrant cultural scene and a bustling nightlife. 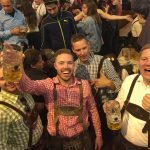 Munich has many unique attractions, and Oktoberfest Tours helps you see as many as you can during your stay. Sign up below to get updates about our 2015 packages. We'll also give you our Complete 15-page Guide to Oktoberfest 2014 and also send you the 2015 guide when it's published.